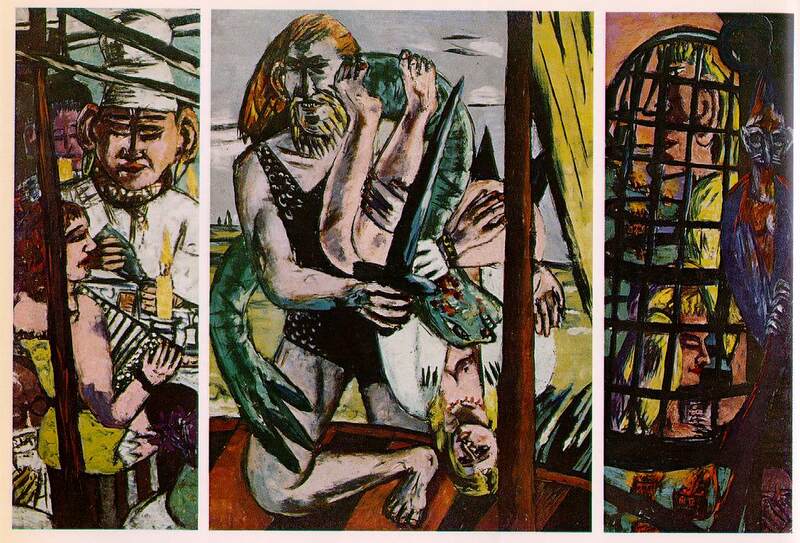 Self-Portrait with Saxophone is not only my favourite of Max Beckmann’s many self-portraits but also one of my favourite self-portrait paintings of all time. 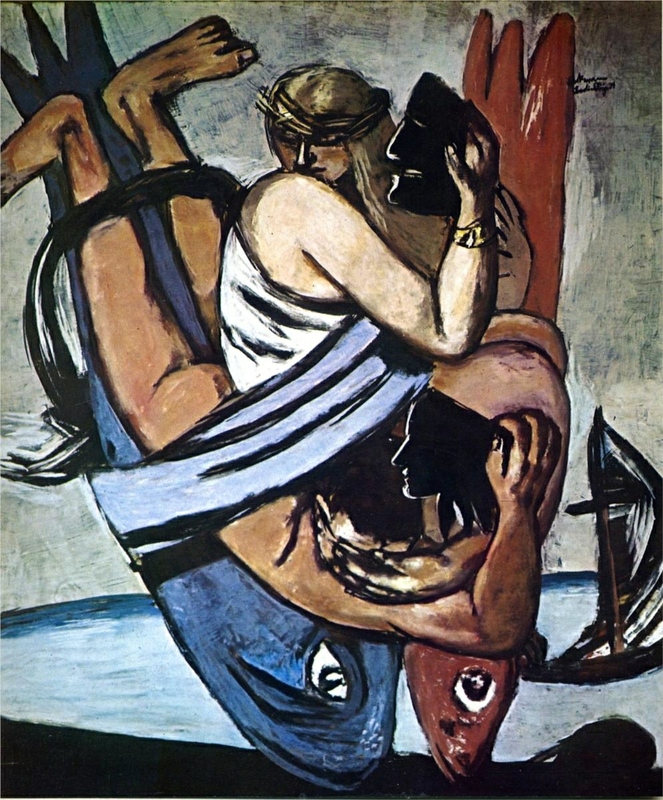 Beckmann’s painting technique, which in his later works can sometimes be a bit messy and offhanded, is beautifully controlled and economical here. The quilted (silk?) robe, which in real life would be soft but sort of slick to the touch, reminds me also of the tough protective skin of a pineapple or a pangolin, though here the underbelly, so to speak, is open and unprotected, with the casual posture, meaty hands, steady gaze, and set jaw of the artist projecting boundless confidence and creative power such that even the ordinarily rigid metallic musical instrument seems to bend and twist in conformity with the artist’s pose and grip rather than vice versa. 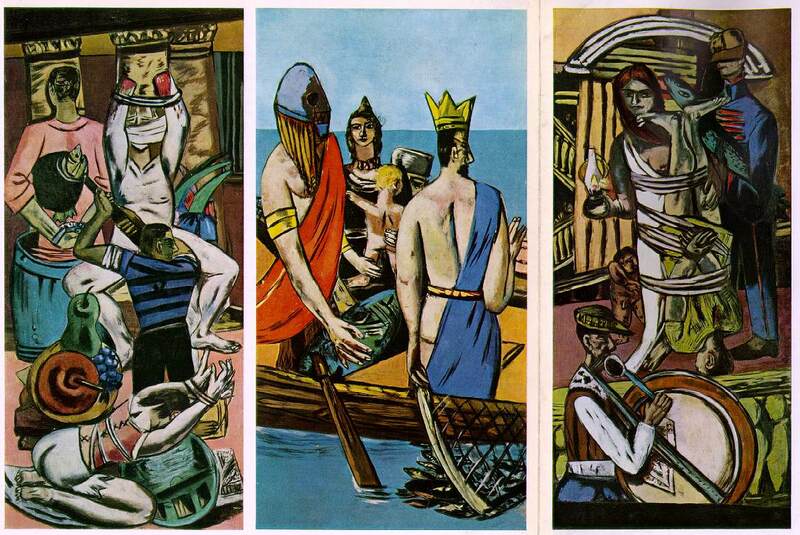 ABOVE: Max Beckmann, Self-Portrait with Saxophone (1930), oil on canvas, 55 1/8 x 27 3/8 in., Kunsthalle, Bremen.